The University of Louisville Athletic Association hope to see game attendance increase by changing the way tickets are priced. ULAA passed a proposal on tickets at the April 13 meeting. Assistant Athletic Director Jeff Spoelker recommended U of L adopt dynamic pricing to give more people an opportunity to attend a game. Spoelker said exhibition games and regular season games will be $49. Non-conference games will be $39, and three premium games will be $60. 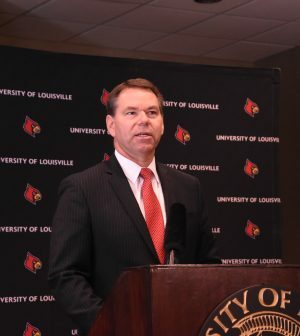 U of L moves to dynamic ticket pricing • The Louisville Cardinal.